My worm system consists of making worm towers out of 5 gallon buckets (free buckets from restaurants or purchased for a little over 2 dollars at big box stores)These are placed at least 10 inches deep in my Garden beds plus my in-ground beds. The buckets have about 30-40 1/2 holes around the buckets and in the bottom. A lid goes on the top with a weight to hold it down. Lids can be for 5 gallon buckets, an upside down saucer or a piece of wood. The worms go in and out the tower eating what I have fed them each week; usually a kitchen scrap smoothie along with shredded paper and cardboard, also once in a while, composted horse or chicken manure. Every other month I harvest the worm casting to use for compost/worm casting tea. I usually stop feeding them so they will leave the tower before harvesting the compost as I don't want to harvest worms. They come back in the tower when it is re installed and there is food in it for them. The additional benefit is them fertilizing the garden boxes where my vegetables love the soil! I had several worm totes in my house but wanted them outside so the worms went from the totes to the towers, these were Red wigglers and ordinary earth worms. This is a great way to have worms and get the casting/compost. I don't think I would change a thing, it is working out very well. It takes very little time for each tower, approx. 10-20 min. My idea came from wanting the worms outside, seeing some different worm towers on YT and thinking there needs to be an easier and more productive way to use them. Great videos and I love your garden. I watched both videos and just about when I thought you may have left something out, you when on and said it. 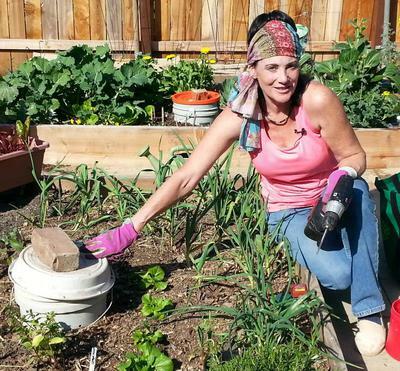 Thanks for sharing and also showing us your garden. I would say one thing for those that might harvest the castings early. Remove the 5 gallon lid and place some type of netting, like an onion sack, and fill the sack with fresh worm food. Wait a week. This will attract the worms into the netting and then you can remove the netting with the fresh food and now the worms in it as well. You can then begin to remove the bucket of castings and harvest it. I really like your YouTube Channel and thanks again. I Hope you're doing okay with the Cal drought. 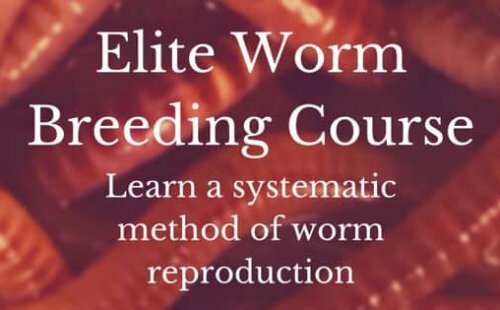 I'm reaching out to you to ask if you would like to be in the Worm Farming Revolution eBook. The Printed version is coming out soon. I'm not sure if we can make that deadline but The eBook is definitely doable. Please let me know by contacting me. Click on the "Contact Us" button at the bottom of the page. Hello! I have been wanting to do a worm farm for a while with my son but I could not wrap my head around the cost of a commercial bin and where to put the thing! This is a brilliant idea! We are starting a new garden and I can't wait to try this out!!! Thanks again! Thank you! I live in Florida, in andried lake bed. Raised beds are necessary and this is the perfect solution! I am thrilled to start work on this.